Show Me Snow Geese Show Me Snow Geese: Are You Ready For That Spring Snow Goose Hunt? ﻿Being prepared is the key to successful waterfowl hunting. This is especially true for spring snow goose hunting in Missouri. Go unprepared and you could end up spending long hours in the field, frustrated and without sleep. Snow geese are very quick in fleeing from predators and hunters which makes hunting them very tricky. So along with hard work, the right equipment and tested hunting strategies, here are a few professional goose hunting tips that you could use to improve your odds of success. Find a Hot Field - The first step in snow goose hunting is to scout for fields where the geese are actively feeding. Once you do that, locate the owner and get the permission to hunt. Try and set the decoy by afternoon, for hunting in the evening and the next day morning. Usually, snow geese do not come back to fields where they have been shot. So if you do find a hot field, expect no more than 2 or 3 days hunting. Setting the Field - Snow geese are smart and have good memory. They can get very good at finding signs of human activity. So park your vehicles away from the field and set up the field for hunting with at least 500 decoys. Professional goose hunting guides usually use over a thousand to fifteen hundred decoys. Be patient - Snows are known to change their behavior day after day. So your strategies and decoys may work one day and fail the next, do not get discouraged . Hunting snow geese requires a lot of patience and persistence but is worth it. 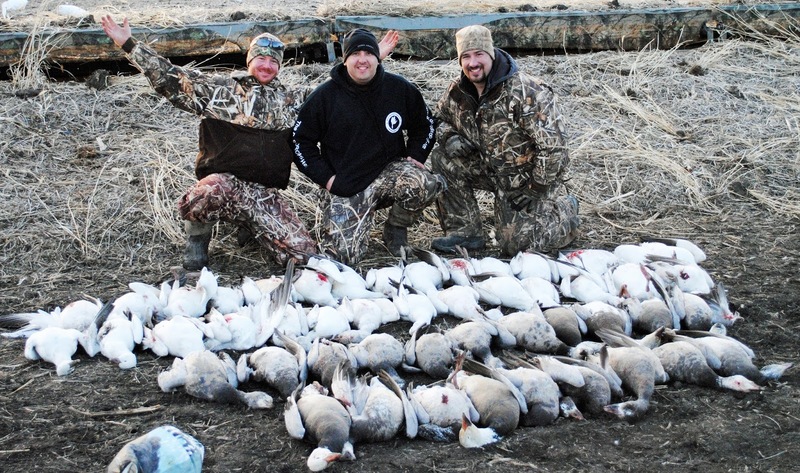 Experiment - One of the best ways to hunt snow geese is to think outside the box. Using the same old decoys and strategies is no good when hunting these birds, which also happen to be very quick learners. So don’t be afraid to experiment with new methods of hunting for improving your odds of success. Go with a guide - Ideally, you can go snow goose hunting 2 or 3 times a year, but it can be a very expensive and a challenging activity. To be successful , you need to spend a lot of time scouting and be very patient and persistent. 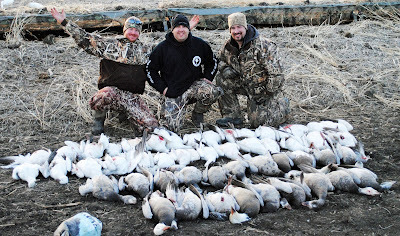 The good alternative to a frustrating DIY hunting if you do not have the time to all the work required is to go on guided snow goose hunt, which can be cheaper in the long run and get as good or better results with much less work on your behalf.